Efficiently running commercial vehicles are essential for any business to maintain a steady flow of revenue. Well-maintained commercial vehicles also help in enhancing the business image. With commercial trucks, vans and buses being such critical business equipment, you need a good commercial auto body shop to keep them running at peak efficiency. In Olympia, WA, businesses can count on City Center Collision Services for the fine-quality auto body repair or collision repair services that their vehicles need and deserve. We work with all insurance companies. 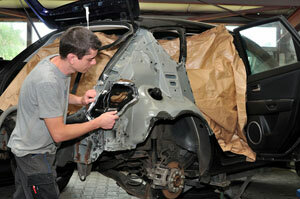 Our commercial auto body shop even assists Olympia customers with the insurance claim process. Successful businesses need their commercial vehicles to always be on the road. And, these businesses depend on our professional auto body repair to keep their Olympia commercial vehicles on the road. Whether you need heavy collision repair or minor auto body repair done on your Olympia business van or truck, our facility is the right place to come to. 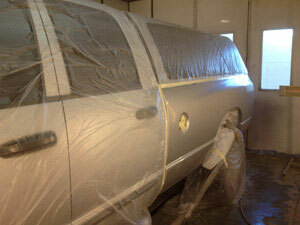 Why Choose Us for Commercial Collision Repair in Olympia? When you are looking for collision repair services in the Olympia area that offer you a wonderful, worry-free experience, come to our commercial auto body shop. The unmatched quality of our collision repair work comes from the unique combination of our commitment to quality and focus on customer satisfaction. We are confident that after experiencing our auto body repair services once, you will choose only us whenever you need commercial collision repair in Olympia. Call City Center Collision Services at (253) 948-4655 to know more about the collision repair and other auto body repair services it offers for commercial vehicles in Olympia.